We are back with another Spring Cleaning DIY segment. This week, we are going to share some fun projects that will get your office desk looking promotion-ready. From designer mouse pads to convenient dry erase boards, your work area will look stylish and be well-organized! 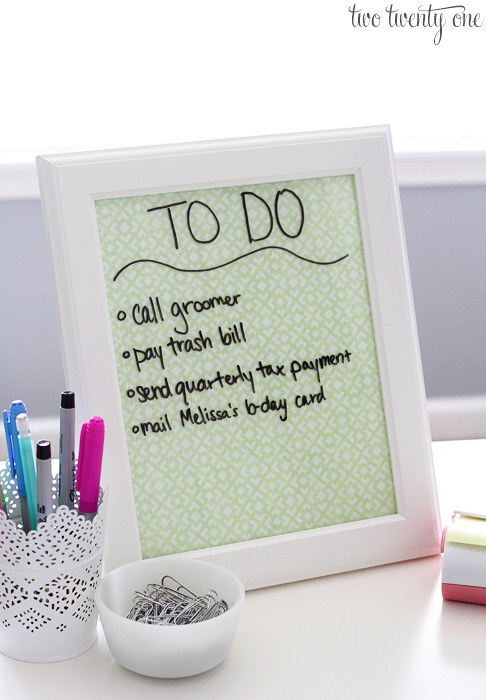 Prevent your desk from being cluttered with paper lists by creating this adorable and handy desktop dry erase board. This DIY project gets bonus points for being environmentally friendly because it decreases paper waste. Check out the full tutorial from twotwentyone.net. Everything in your office (even the random office supplies you own), will have its place with this nifty desk organizer. The primary materials used in this project are recycled goods, making it really affordable! Check it out at modpodgerocksblog.com. If you’re on a quest to make your office space really chic and stylish, then you’ve probably come across some files featuring pretty cool designs and prints. But what’s the point in having these adorable files, if they’re tucked away most of the day? 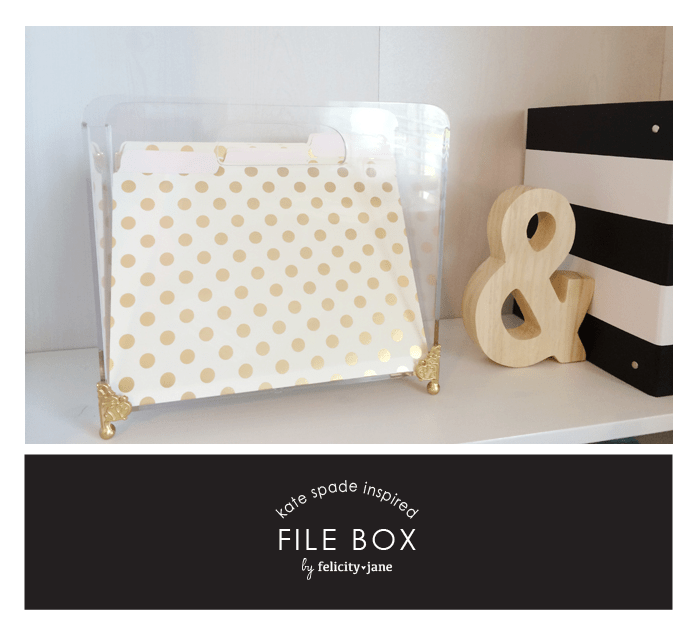 Check out this easy DIY provided by felicityjane.com to have a file box that allows you to show off your personal style. Gold is bold, and we love this metallic office organizer. Just like the file box, this project calls for some metallic spray paint (fun!). This spruced up organizer will cost you less than $30. Read the post at kelleymorrison.com to discover where you can get the best materials for this project. 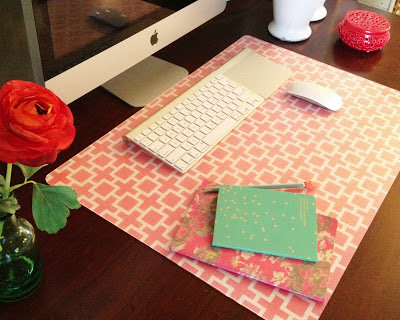 Add a dash of panache to your work area with a custom mouse pad. This oversized mouse pad acts as an area rug for your desk. Wrapping paper comes in hundreds of colors and patterns, so the possibilities are endless! The tutorial on alittletipsy.com will show you how to make this $8 DIY project. How do you keep your work area stylishly organized? Share your ideas in the comment section!